Today we are excited to have Charissa Quade from Cook With a Shoe guest post with us on budgeting! She has just released her new eBook; Budgeting Made Easy:Thriving on Any Income, just in time to help us get ready for 2017. If you are interested to download her book, she is offering our readers 20% off until Dec 23rd! Just use the code Welcome20. I can't wait for what 2017 is going to bring! 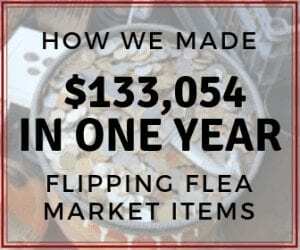 Earning all your income from flipping items from the flea market can be a huge obstacle to budgeting and budgeting successfully. You have no way of knowing what treasures you will find each month, how much they will go for, and when you will be able to sell the items. You still have a mortgage to pay for and groceries to buy. Sure, you start out with good intentions on your budget, but with so many unknowns it quickly gets tossed aside. 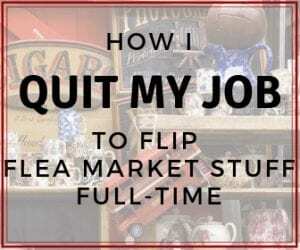 I have been an independent free-lance contractor for well over a decade, and while I am not flipping items found at the thrift store, I am faced with the same questions you have about bringing in enough money. Yet, I have been able to budget successfully, pay off debt, and build savings. Good, because I am delighted to tell you! 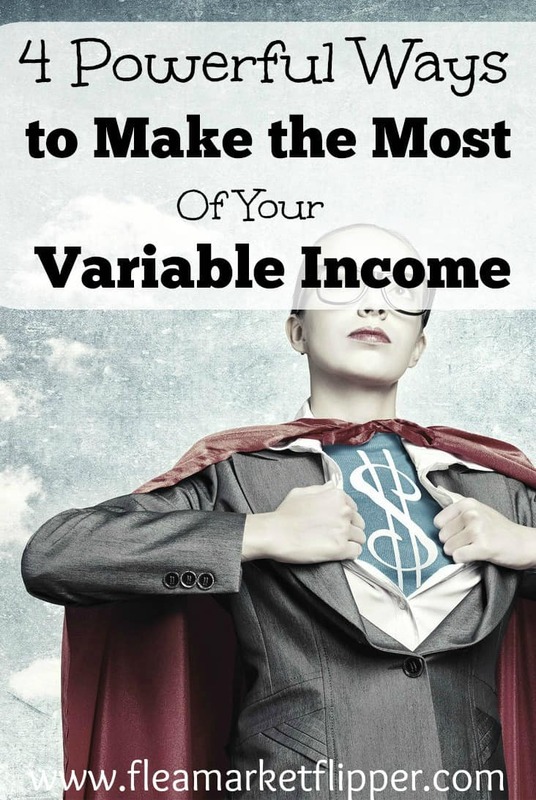 First things first, you really can budget on a variable income. I love using a prioritized bare bones budget which works excellent for a variable income as well as also works well for any income. A prioritized bare bones budget is where you have the four basic essentials of food, lights/water, housing, and transportation listed in that order at the top of your budget. All of your other monthly expenses is each assigned a priority number and listed below your four essentials. When you get paid, you just go down the list and set aside or pay the money for each expense starting at the top of your budget and working down the list until the check runs out. Pick up where you left off with the next check. Now that you have your budget all set up, you know what is the absolute minimum you need to earn each month. I know exactly how many clients I need to see each week, in order to bring in enough money for the month. 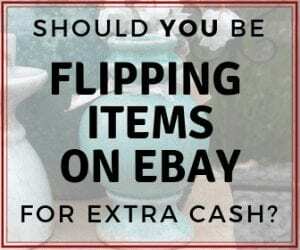 As you are flipping items, you can keep a tally of how much you are bringing in/selling, which will help you decide approximately how many small value and high value items you need to flip over the course of a month. 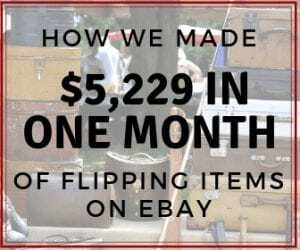 Looking at the large picture of how much money you need to bring in each month and how you will do that helps tremendously, instead of just looking at the return on individual items. You will also be able to budget more efficiently. For example, if one week is light on clients, I know I will need to see more clients the following week to make up for it. The same goes for you, if there aren’t many sales this week, it’s time to hustle and sell more next week. You have your budget set up and know the minimum you need to earn each month, but what do you do if there is a huge income month? Still continue to follow your budget! It is just as important now than it is when you are barely making ends meet. Surplus months are great for building up savings to help balance out the lean months. I like to put a percentage towards my lean month fund. That way, if sales less than normal one month, you have some funds available to balance out your income. Secondly, use a percentage of the surplus to pay down debt or save for something else. I have found that while a prioritized bare bones budget makes it super easy, there is an additional necessary and critical factor in having a successful budget. 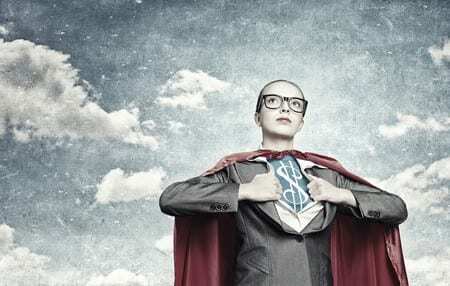 You need to have a reason why you are budgeting- what I like to call your money dream. Do you want to get out of debt? Maybe you want to build up your nest egg? Or take a nice vacation? Regardless of what it is, when you have a money dream that you are working towards with great focus, you will be able to follow a budget more successfully and follow through on your budget each month. It becomes exciting to see if you can either trim money off the budget or bring in more so you can add to your money dream progress. You CAN most definitely set up a successful budget on a variable income. I would love to personally guide you through the exact process I have used successfully for years. This process has given me the ability to pay off debt, pay cash for my husband’s education, and build savings all on a variable income and It can do the same for you too! I share all the tips and tricks of budgeting successfully, paying off debt, building savings and reducing money stress in my book Budgeting Made Easy: Thriving on Any Income. 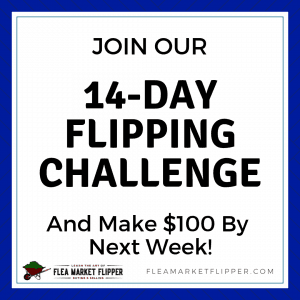 I would be thrilled to help you have a successful budget so you can continue to enjoy earning a living flipping items from the flea market! If you need help budgeting that variable income and want to reach your money dreams, Budgeting Made Easy:Thriving on Any Income is the book you need. Get your copy today! Charissa writes at Cook With a Shoe and became debt free while cash flowing her hubby's education. She loves sharing great tips on how you can finally have a successful budget and reduce money stress in her book Budgeting Made Easy: Thriving on Any Income! Connect with Charissa on FaceBook, Twitter, Pinterest or Google +. You gave some really good suggestions, I plan to implement some of them this very month in an effort to get out of debt so I can purchase a motor home and do a whole lot of traveling around this big, beautiful country! Thanks for the information! Charissa really did an awesome job giving some great suggestions! And that is so cool that you want to get out of debt and purchase a motor home! We are planning to do the same thing this year with our kids! We have A LOT to sell, but it’s exciting to do so. Do you have a date you would like to do this by? 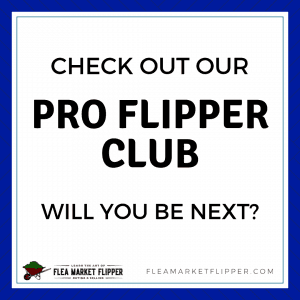 Thank you for the privilege of guest posting here at Flea Market Flipper! It truly is an honor.